Christopher reeve has wrote the quote where he mentioned that hero is an ordinary individual who get the strength to tolerate and continue in spite of crushing obstacles. He has faced the struggle time in the acting field and then he gained the popular image in the film industry. Christopher was the son of Franklin D’olier reeve and the Pitney. He became very popular through his hard work and dedication in the field of entertainment. He was an actor, producer, film director, screen writer, activist and the author. He gained the popularity and the stardom through his acting. 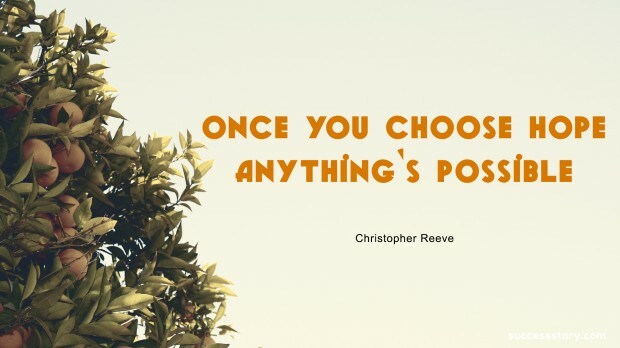 "Once you choose hope, anything's possible "
"Don't give up. Don't lose hope. 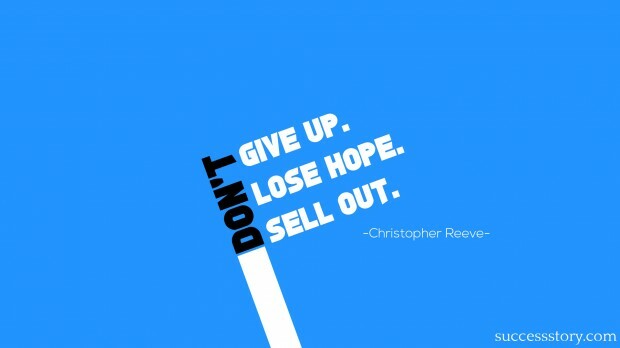 Don't sell out"
Christopher always inspired the people to move forward and achieve what they have dreamt. No matter how much struggle one has to face. People should never give up their dreams on any condition. At first time when you will start your journey for your dream it may seem to be impossible then doubtful and then it will be foreseeable. In simple words he wants to convey that don’t lose hope and don’t give up until and unless you achieved your goal. According to me he is the true celebrity who has given many motivational and inspirational characters. He taught the people how to achieve your goal and fulfill the dreams. By his motivational words you can never give up because he is ordinary man with the extraordinary talent that we have already seen in his movies. He try hard and face the struggle without stepping back as a result he became the popular face in the entertaining industry.